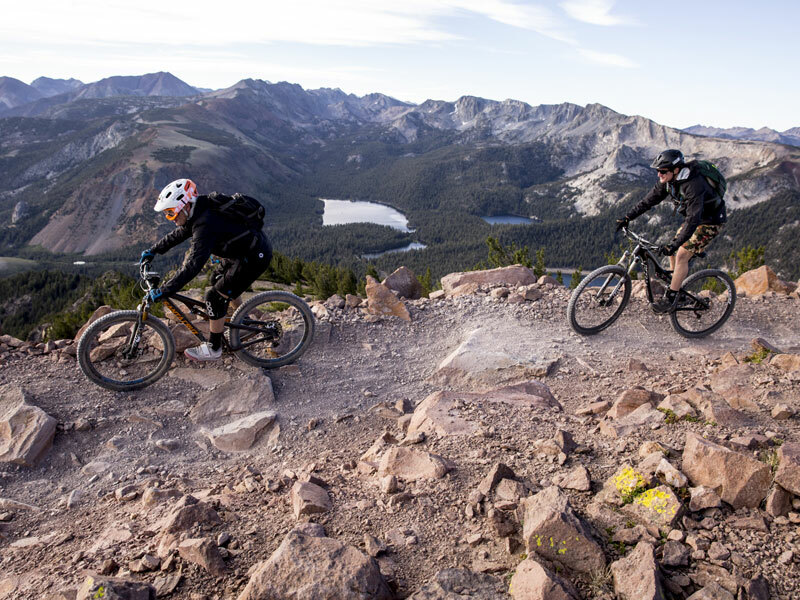 Mammoth delivers a rugged 914 metres of vertical descent combined with plenty of features to deliver the ultimate mountain biking experience. 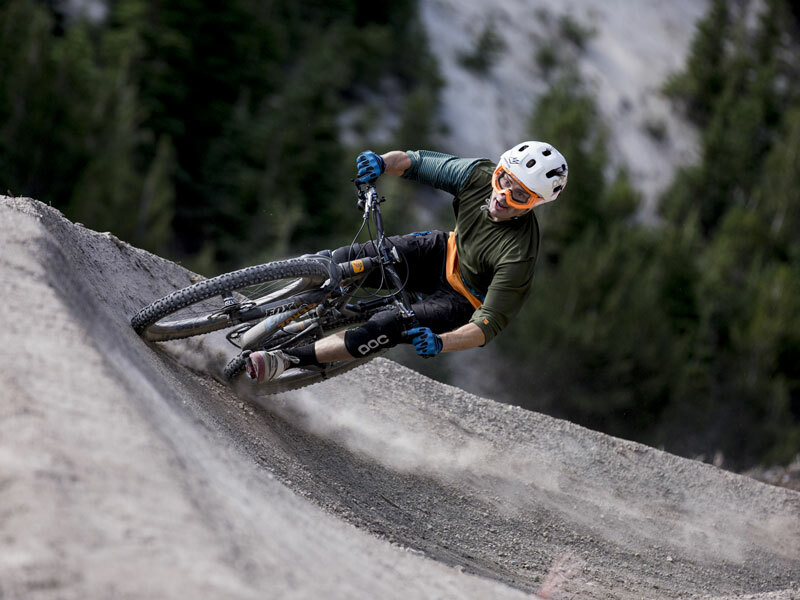 Mammoth lets riders of all levels experience the thrill of downhill mountain biking with plenty of downhill and jumps over 128+ kms of single track. 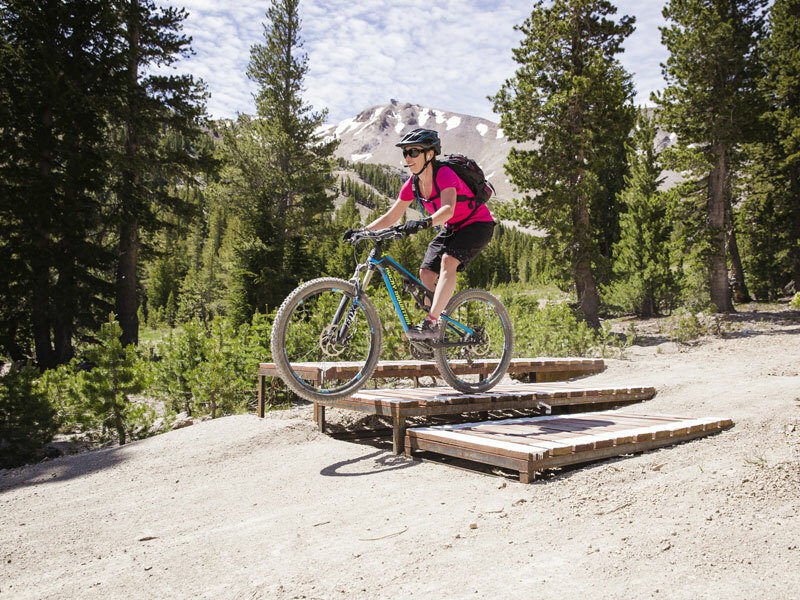 Mammoth is the perfect location to take on gravity and test your skills. 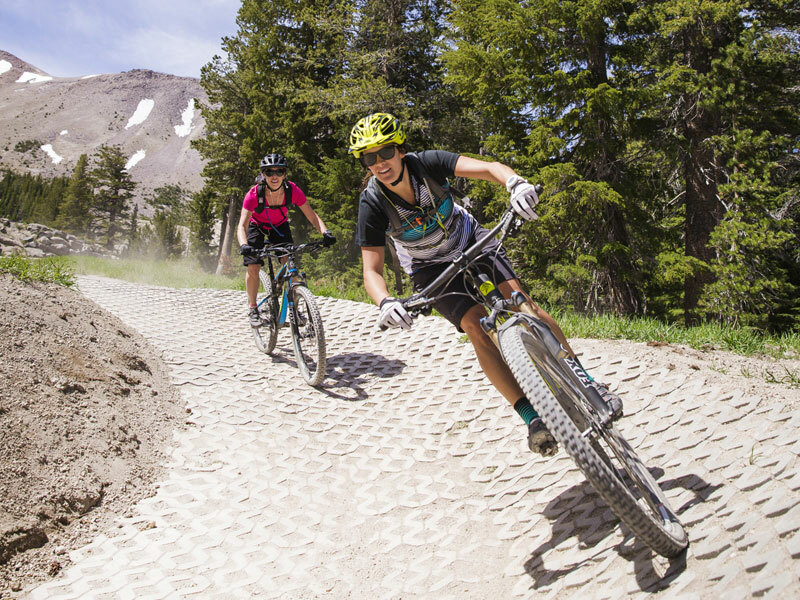 Tackle the gentle cross-country trails to unruly downhills to everything between; the variety at Mammoth sets it apart from other bike parks in California. 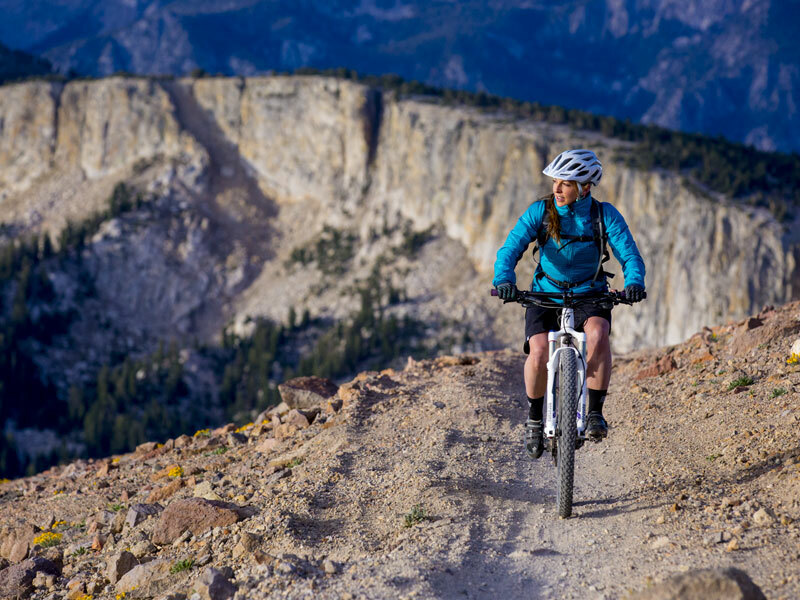 Whether you are a beginner wanting to develop your skills or you are looking to challenge your riding skills on the numerous technical downhills, Mammoth won’t disappoint. 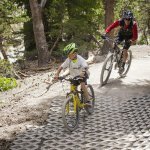 This fast and technical trail is relatively short and flows downhill offering drops, small jumps and some pretty steep sections. If you are feeling brave choose to take on the optional ladder drop. 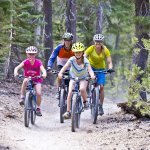 The one way loop begins with a gentle climb becoming steep at times through lodgepole pines before providing some stunning scenery when you loop around the Reds Lake. The downhill track then takes a quite direct parth back to the start but maintains a great flow keeping you entertained. 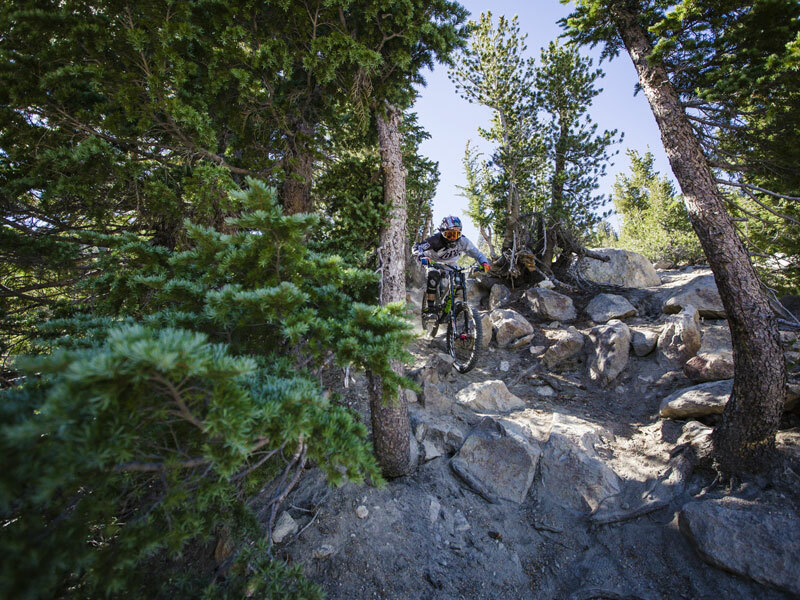 Anything but boring, this singletrack drops through trees and into open terrain before navigating its way over rock gardens. Continue on this trail to terrain that becomes steeper and rockier before the real fun begins. 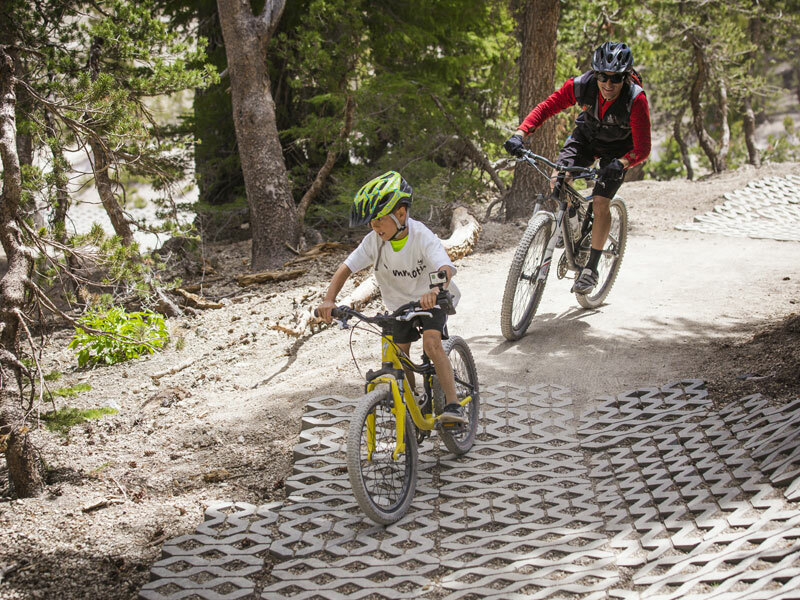 Make sure you stay alert when you head over multiple rock gardens with tight drops and loose turns before you hit root drops and then exit through the trees. 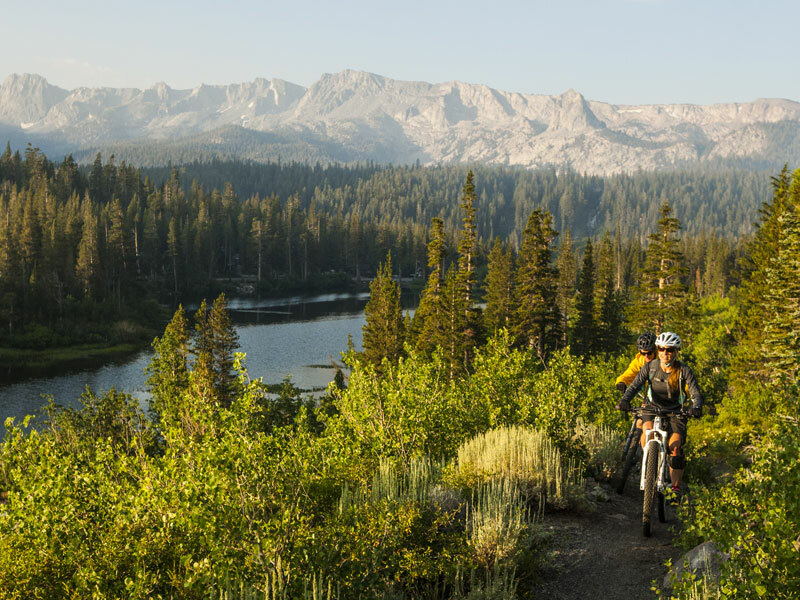 Mammoth Mountain is located in Eastern California, along the east side of the Sierra Nevada mountain range in the Inyo National Forest. 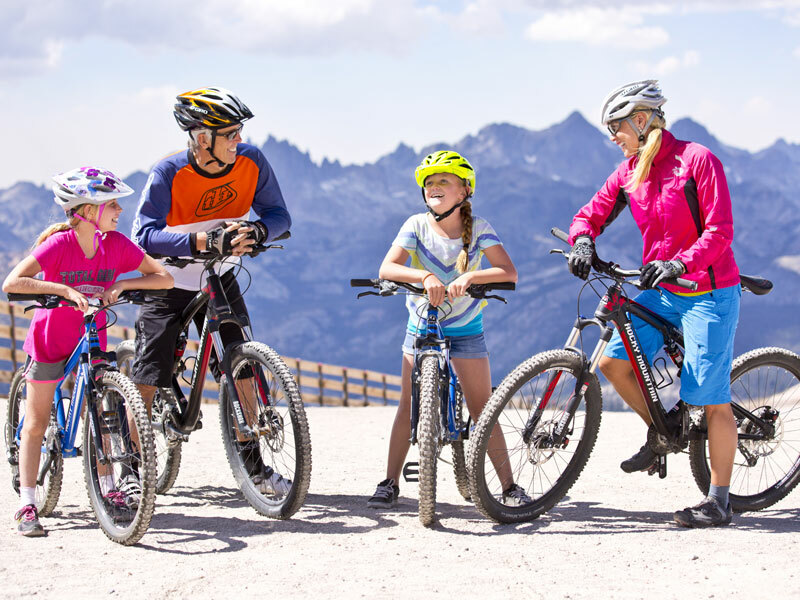 Fly into Mammoth Yosemite Airport and we can arrange either a shared or private shuttle to your accommodation – approximately 15 minutes. 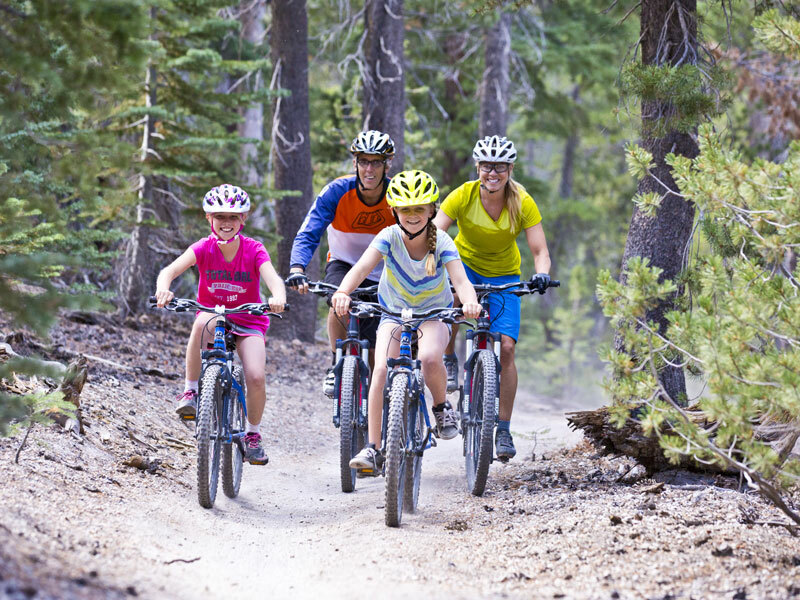 Mammoth has a variety of accommodation options to choose from.